I am a clinical psychologist employed as the Psychology Clinic Director at the University of Newcastle. I completed my undergraduate BA(Psych) with first class honours at the University of Newcastle. I then began my supervision for registration as a psychologist. I worked intialy within the Department of Corrective Services, and then the Psychological Assistance Service (PAS), which was an early psychosis outpatient service within Hunter New England Health. PAS was a combined research and clinical service, and this fostered my appreciation of the value of, and balance between, clinical and research endeavours. I completed my full registration as a psychologist in 2000. I continued to work at PAS, eventually achieving the position of Team Leader. I completed my PhD in Clinical Psychology at the University of Newcastle in 2008. My thesis was in the area of Psychosocial Well-being During Stages of Gay Identity Development. However, the majority of my research has been in the field of early psychosis assessment and intervention. With the restructure of mental health services I was promoted to Clinical Leader of the Newcastle Child and Adolescent Mental Health Service, and fulfilled this role for two years prior to my employment with the University of Newcastle. As Psychology Clinic Director, I aim to provide high quality training to postrgraduate students in clinical psychology, as well as high quality clinical services to our surrounding community. I aim to instill students with a respect for evidence-based approaches to clinical work. I attempt to illustrate theory with clinical anecdotes and practical applications, as I believe that this fosters deeper learning. My research interests include: psychosis, particularly early intervention and management of ultra high risk; modification of risk factors for comorbid physical and mental health problems; stigma; sexual identity development; and working alliance. My PhD was in the area of sexual identity development. I investigated the relationship between Cass' (1979) stage of gay identity formation and psychosocial well-being. Using an online design I was able to recruit participants within the early stages of Cass' model, which few previous researchers had achieved. I was able to demonstrate that the relationship between stage of gay identity formation and psychosocial well-being was U-shaped rather than linear as previously proposed. This provided evidence that the mental health problems seen at relatively high rates in gay men is likely due to social isolation and lack of support during the middle stages of gay identity formation. My research then found that particular identity management strategies used by some gay men to manage their emergent gay identity were detrimental to their psychosocial well-being. The majority of my research has focused on early psychosis, with an emphasis on identification and intervention with young people deemed at ultra high risk of psychosis. This grew from my clinical work within a ground-breaking early psychosis public mental health outpatient service. My particular areas of interest include the lived experience of mental illness, management of stigma, and reduction of lifestyle risk factors. From this interest in modifying risk factors for psychosis, I branched into healthy lifestyle research. This includes a range of studies investigating the relationship between healthy behaviours and mental health problems. For example, one of my PhD students is investigating exercise as a treatment for depression; a masters student has recently completed an investigation of integrated treatments of CVD risk factors and depression, etc. My current role as Psychology Clinic Director, along with my 16 years of experience as a clinician, has also developed my interest in the professional development of early-career psychologists. Part of this has been a commencement of research into working alliance between novice therapists, their clients, and their child clients' parents. Since 2011 I have been a senior lecturer with the School of Psychology. I am course coordinator for Counseling and Clinical Intervention, which is a postgraduate course designed to develop students' therapy skills. This course includes basic personal counseling, CBT, motivational interviewing, as well as encouraging introspection and self-awareness. I also teach a range of lectures related to my clinical expertise. These include undergraduate and postgraduate lectures and seminars on areas including psychosis, dissociation, child and adolescent mental health, and attachment theory. 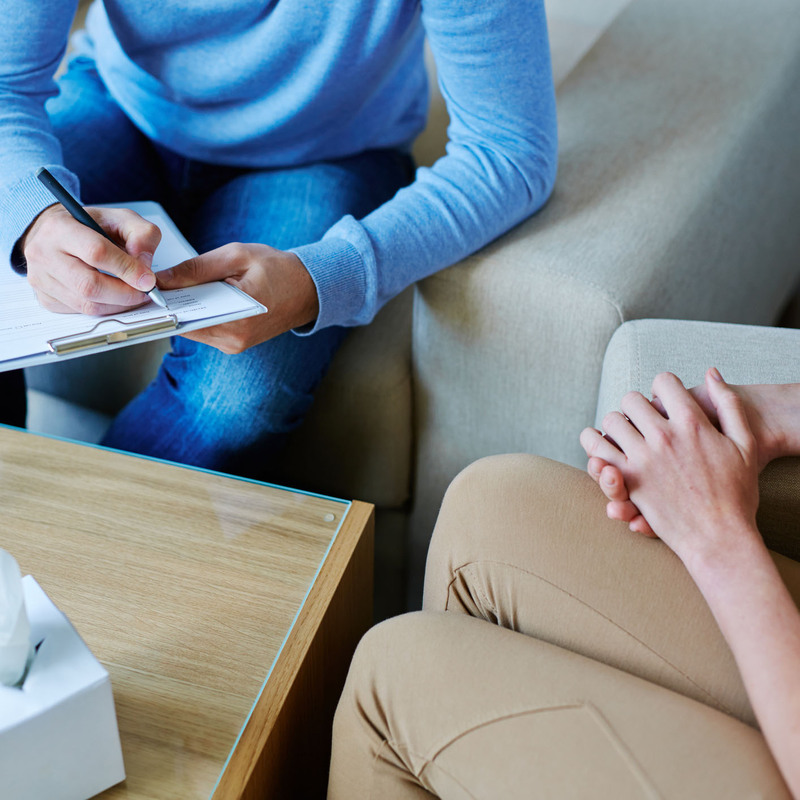 As Psychology Clinic Director, I provide clinical supervision to postgraduate students of clinical psychology completing placements within the Clinic. This supervision includes both their counseling work as well as their administration, scoring, interpretation and reporting of cognitive assessments. I am the Psychology Clinic Director at the University of Newcastle. This role involves the management of the Psychology Clinic, including financial, administrative, clinical, community outreach and marketing operations. In recent years the Psychology Clinic has become increasingly active, with pleasing increases in the amount and variety of clinical work for students. The Psychology Clinic performs a valuable role in linking the University and the local community. We provide low-cost psychology services, and in trusting us to provide these services the local community play a vital role in training the health professionals of the future. Prior to my employment at the University of Newcastle, I was employed for 13 years within the local area mental health service. I was initially a psychologist, then a clinical psychologist, and eventually team leader then clinical leader of the Newcastle Child and Adolescent Mental Health Service. This has provided me with significant industry experience, and awareness of the important qualities employers wish to see in the graduates from our Clinical Postgraduate Programs. I collaborate with researchers both internal and external to the University of Newcastle. I have professional and research linkages that range from collaborations within the local public health services, to international partnerships. © Copyright 2016 Wolters Kluwer Health, Inc. All rights reserved. This study assesses the feasibility of integrating motivational interviewing (MI) with an exercise intervention. It also explores patterns of depressive symptom changes (cognitive, affective, and somatic subscales) and their relationship to cognitive, behavioral, and immunological factors (interleukin 6, IL-6, a marker for inflammation) across the exercise intervention. Twelve young adults (20.8 ± 1.7 years) meeting DSM-IV criteria for major depressive disorder received a brief MI intervention followed by a 12-week exercise intervention. Assessments were conducted preintervention, postintervention, throughout the intervention, and at follow-up. Preliminary results show differential effects of exercise, with the largest standardized mean improvements for the affective subscale (-1.71), followed by cognitive (-1.56) and somatic (-1.39) subscales. A significant relationship was observed between increased behavioral activation and lower levels of IL-6. Despite study limitations, the magnitude of changes suggests that natural remission of depressive symptoms is an unlikely explanation for the findings. A randomized controlled trial has commenced to evaluate effectiveness of the intervention. © 2016 Informa UK Limited, trading as Taylor & Francis Group. Background: Depression in stroke survivors is common, leads to poorer outcomes and often not treated. A group cognitive behavioural therapy (CBT) program (Brainstorm) for stroke survivors with depression, and their carers has been running as part of usual care since 2007. Objective: To evaluate the implementation and acceptability of Brainstorm, a closed group intervention consisting of up to 10 sessions of education, activity planning, problem solving and thought challenging. Methods: Participating stroke survivors and their carers complete assessment measures at baseline, posttreatment and 1-month and 6-months follow-up. A mixed models for repeated measures data was conducted with depression and anxiety scores for stroke survivors (Beck Depression Inventory-II; Hospital Anxiety and Depression Scale) and the assessment of depression, anxiety and carer burden for carers. Acceptability was assessed by session attendance and written and open participant feedback upon completion of the program. Results: Forty-eight community dwelling stroke survivors and 34 carers attended Brainstorm, with a median attendance of 88% of sessions. Follow-up assessments were completed by 77% (post-treatment), 46% (1-month) and 38% (6-month) of stroke survivors. Stroke survivors¿ depression scores decreased from baseline to posttreatment (p<.001); maintained at 1-month (p<.001) but not at 6-month (p=.056). Anxiety scores decreased between baseline and 1-month (p=.013). Carer burden, depression and anxiety scores at 1-month and 6-month follow-up, for carers, were all reduced when compared with baseline (p<.05). Conclusion: The Brainstorm group intervention for depression in stroke survivors appears to have been effectively implemented and is acceptable to stroke survivors and carers.